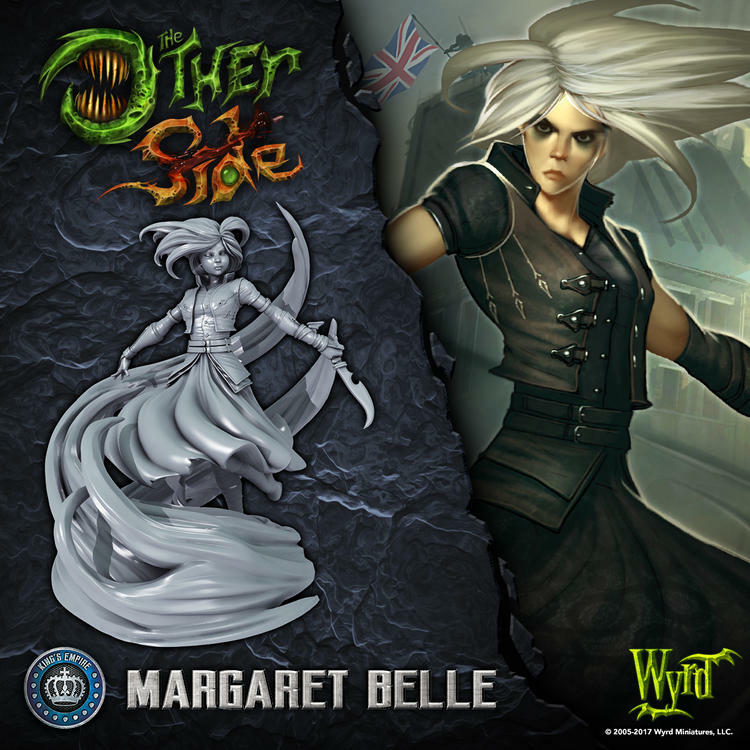 If your opponent declares King's Empire you better make sure to check out every shadow, because you never know when Margaret Belle is going to strike. Feel free to discuss! Despite the face - she's my favourite miniature from TOS! God save the KinG! This seems to be a habit... The most recent is the Alt Titania but there have been a fair few others. When you're on a solo assassination mission and loaded down with gear, there's not a lot of other places besides your cheeks to store food. I think she looks good, though I am hoping that she can be built without the energy swirl. Still not sure whether I want to model it with her, or save it for some other model. Righty, keep forgetting that. Well, I'll see if she can be separated at least. The last two weeks have made me seriously consider upping my dual Commander to Tyrant..